our life in Singapore: usher in the Chinese New Year at The Halia !! 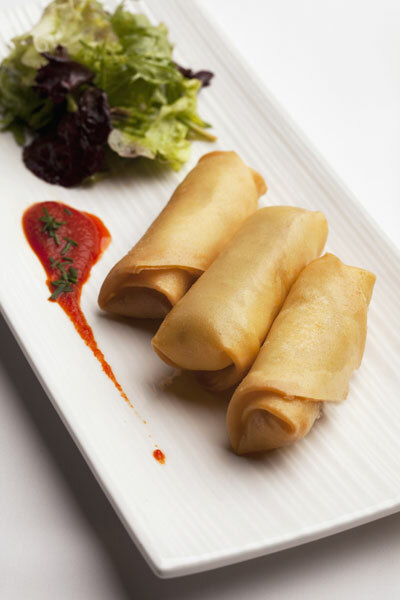 usher in the Chinese New Year at The Halia !! 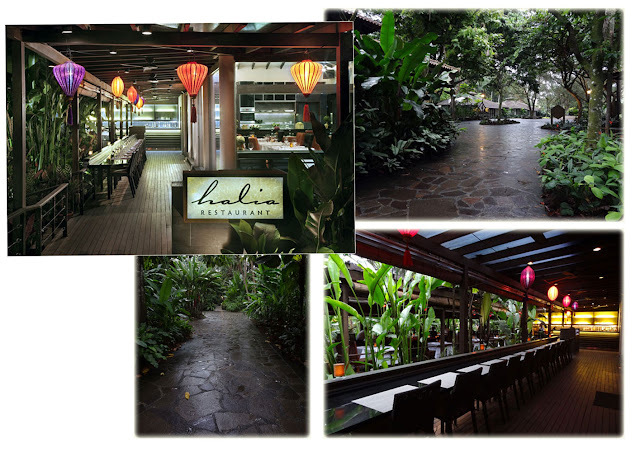 We recently had the opportunity to experience The Halia Restaurant located within the Singapore Botanical Gardens. “Halia” is a Malay word for ginger, a fragrant and hot root that is used for culinary and medicinal purposes. Drawing its name from its halcyon locale within the Ginger Garden at Singapore Botanic gardens. I think the main attraction for The Halia would be the setting, no one could resist such an atmosphere. Sitting in this particular restaurant of an evening, shared with good company within the Botanical Gardens. Truly a delight. Taking the helm at The Halia’s new kitchen is Chef de Cuisine Reynaldo Arriola. 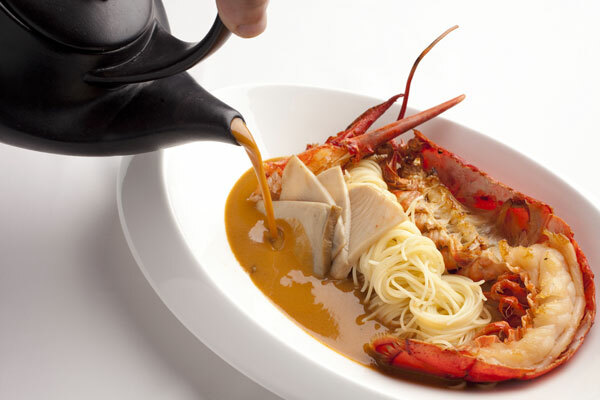 With close to a decade of training and professional culinary experience in Singapore and France, Chef Reynaldo’s new menu at The Halia showcases modern European cuisine with occasional touches of Asian spices. He certainly has a job ahead of him to convince the pedantic Singaporean customer that this is the place to dine. The first comment most people seem to make is its too difficult to find parking or too far to walk. But take note of where the restaurant is located and you will find its is only a 3 minute walk from the Coach Parking Bay where the cab can drop you off. Enter from Tyersall Avenue (off Holland Road) and stop at the parking bay for tourists visiting Ginger Garden and Orchid Garden. 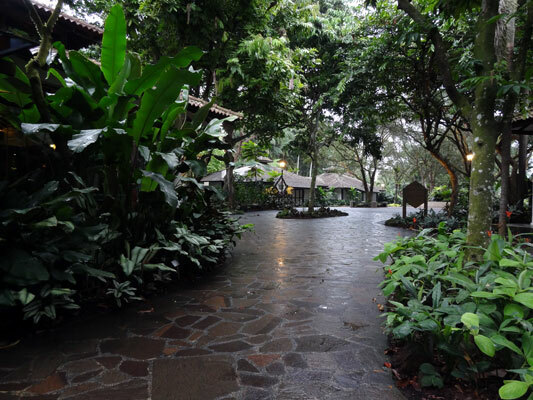 But do avoid entering from the Cluny Road entrance as that would entail a pretty long walk within the Botanic Gardens to get to The Halia. The exclusive Chinese New Year a la carte menu comprises of six Chinese-inspired dishes featuring auspiciously-named offerings such as "Prosperity" - a modern take on Yu Sheng with Ocean Trout Carpaccio, Pomelo, Orange Plum Sauce and Chinese Leek, and "Dragon" - Half lobster, angel hair pasta, XO lobster bisque and abalone garnish. The images below are from The Halia and give you an indication of the foods we had and what is available for the coming festive season of Chinese New Year. fricassee of carrots, white asparagus, prosciutto and chives. for my own personal taste, I found the flavour of the sauce a little overpowering for the delicate taste of the lobster meat, or it may have been the roasting of it. But this is my western palate and perhaps would be quite suitable for the Asian palate. Chocolate Mousse, orange sesame tuille and Szechuan pepper ice cream. this certainly was for "Happiness" as it was quite delicious, be warned though if you have never tried the Szechuan Ice Cream before, the pepper taste might be a surprise! Orange tiramisu, triple sec orange liquor gelee, pistaschio nougat, orange meringue. 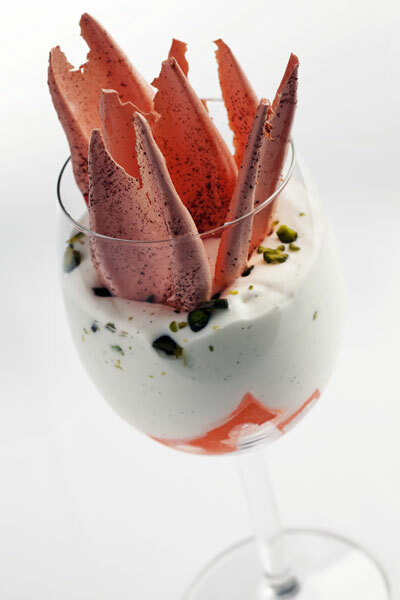 I found the base of this dessert to be very 'rich', but did enjoy the light orange meringue! All of the above dishes were paired with Brown Brothers wines, all exclusive to The Halia. 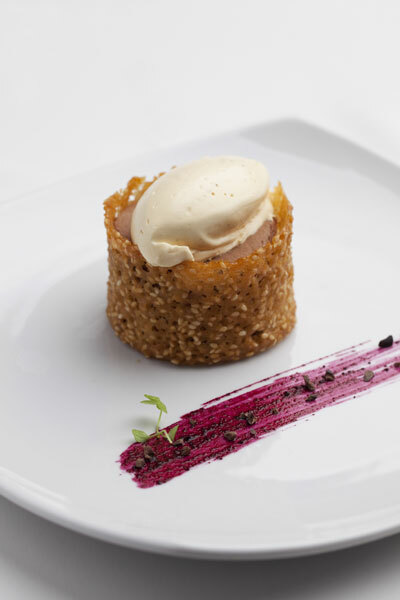 The Halia does offer far more than the above menu for discerning diners as there is a full a la carte menu is available for dinner and lunch. A 2-course ($28++) and 3-course ($32++) set lunch menu is available from Mondays to Fridays (except public holidays), 12pm to 2pm. The Brunch menu is an absolute delight to just read the menu!! The brunch menu is available on Saturdays, Sundays and Public Holidays, 10am to 4pm. The Kid’s menu is available at all times. Reservations are not accepted for brunch. At $28++ per person, The Halia offers a special “Premium English Tea Service” featuring items like the Mini olive quiche with Iberico bellota and tomato spread, Mini baked tomato provencale tart with lemon beurre blanc, home-made assorted macaroons and fresh scones served with apricot and ginger jam. 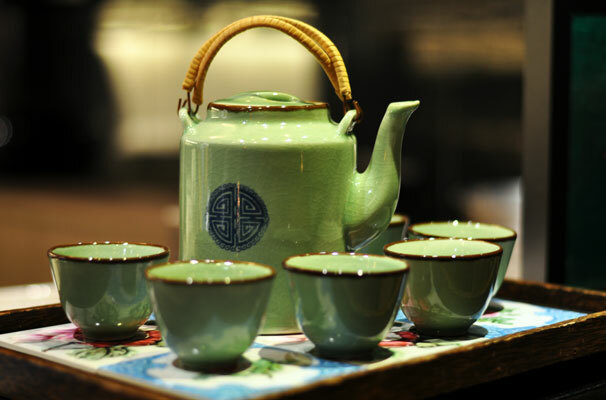 The one I would like to experience - and hope to do so soon, is the The “Premium English Tea Service” which is available on Saturdays, Sundays and Public Holidays, 3pm to 5pm. Reservations are not accepted for tea. There is also a very extensive Wines and Beverage list at The Halia. If you can't make it for the Chinese New Year celebrations, do try for the English Afternoon Tea, or perhaps even dinner one evening? I do not consider myself a food critic nor a food writer, but I enjoy good food that is well presented with the added bonus being 'good value'. I do believe The Halia offers good service and good food that is served well in a very pleasant atmosphere. 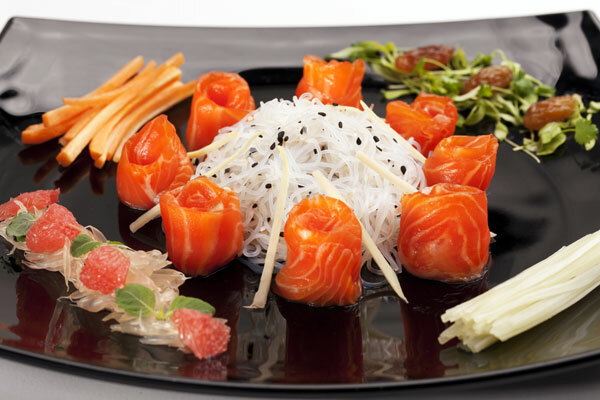 Each persons taste is very different, even the western palate is quite different to the Asian palate for example. As a blogger I share my thoughts and observations with others. I write only about what I enjoy and what I think others will enjoy and so do hope you enjoy your experience at The Halia! This blog resulted from an invitation and represents the thoughts and opinions of the writer. All information on this blog is provided "as is", with no guarantee of completeness, accuracy or timeliness and the writer will not be liable for any losses, injuries or damages from the display or use of this information. 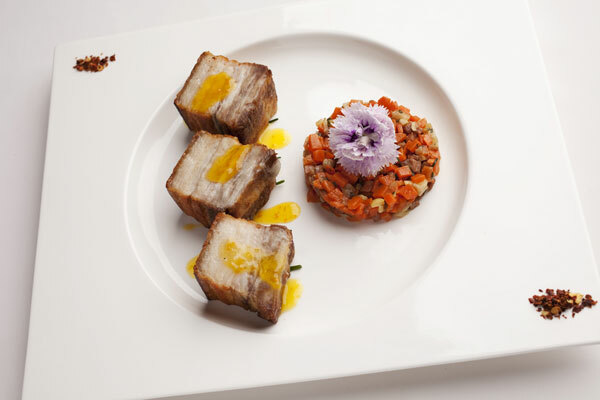 Most of the above images and information have been supplied to me by The Halia Restaurant and FoodNews. Glad you enjoyed yourself, it is a lovely location and restaurant!